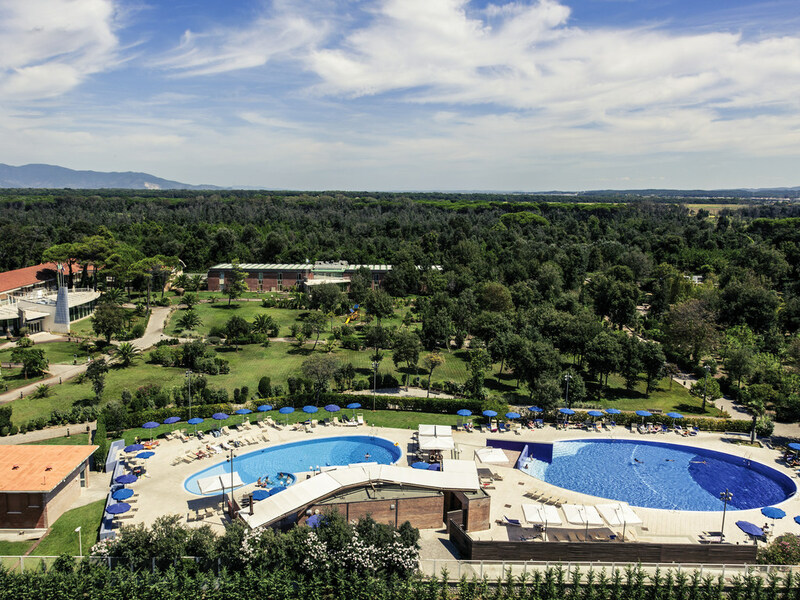 The Mercure Tirrenia Green Park Hotel has 148 elegantly furnished rooms with all modern comforts, as well as a restaurant, conference center, spa, outdoor swimming pools and tennis courts. It is the perfect place to rest and unwind. Beautiful natural surroundings, high-quality service and nearby cultural destinations combine to offer a stay dedicated to wellness and relaxation. Ideal for families with children, young couples and seniors. Perfect for business events, ceremonies and celebrations. Our Le Ginestre restaurant offers a buffet breakfast and an à la carte menu for lunch and dinner. Mediterranean cuisine and traditional Tuscan dishes served with care and attention. Il Bistro at the Pool Bar offers quick lunchtime dishes and snacks with poolside service.